Because you cannot have enough coffee. Because sometimes, you find yourself in the middle of nowhere. Because sometimes, in the middle of nowhere, you find yourself – making coffee with your Aeropress. 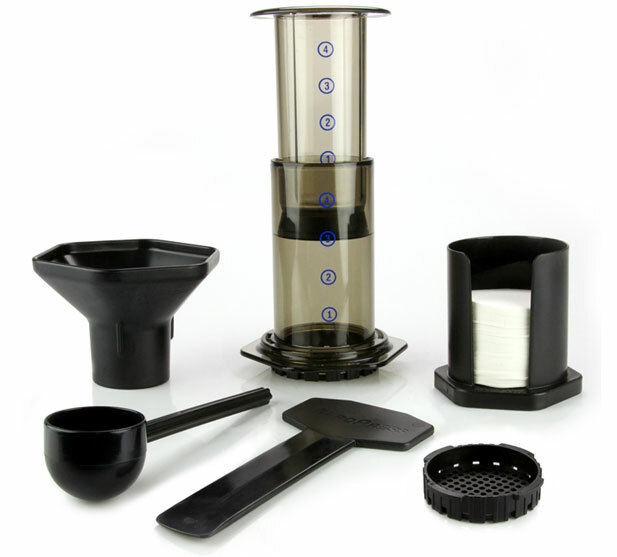 Awesome gadget for any coffee addict, great as a gift too. We have one stashed permanently in our travel bag, together with a small manual burr grinder. All you need is boiling water (can even heat the water in a microwave if need be) and VOILA.